While in Boston recently, we discovered a special group of artists that are using their talents to send a message and make a difference. 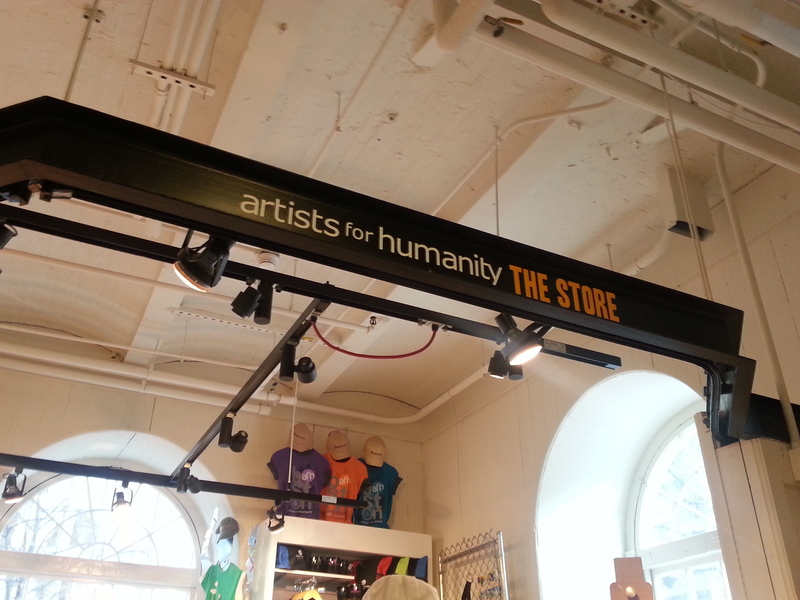 Artists for Humanity’s “mission is to bridge economic, racial and social divisions by providing under-resourced youth with the keys to self-sufficiency through paid employment in the arts.” When browsing their store in downtown Boston, we discovered several well-crafted and creative pieces that demonstrated the artist’s talents and passions. Many of the designs and creations were earth-friendly, while still being forward-thinking in terms of trends. 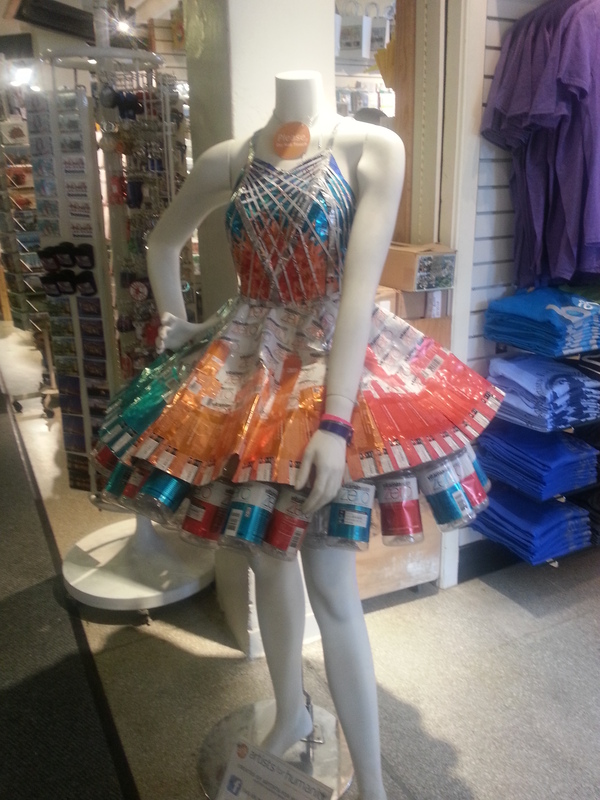 Our favourite piece was this dress, which was made by 2 local teenagers from the city, entirely out of cans of their sponsor, Red Bull. We loved how wearable this piece would be, despite its unusual materials. Learn more about the organization from their website: afhboston.org/. “A sizable and growing number of consumers want to buy socially responsible products and services. But many don’t know what a social enterprise is. And a lot don’t have any intention of buying from a socially responsible company. The “Leaf Lock” Bracelet in our Bombshell Collection is handmade using recycled bomb shell by underprivileged home-based artisans in Cambodia. Living in an underprivileged community with some professional training, these artisans are hand-crafting jewellery using bomb casings that are left-over Cambodian war remains. Channelling trends for spring/summer 2013, this piece is not only environmentally-friendly and ethically-conscious but stylish, as well. For more fashion-forward ethically-made pieces, view the rest of our collections at http://www.shopanthropic.com.